Halloween should be very scary. Terrifying scary. Now that’s fun. And what better way to celebrate it that to let your scary little one be the talk of every kid for months to come with this Chucky Halloween costume for Kids? This award nominated villain is the perfect character this Halloween. 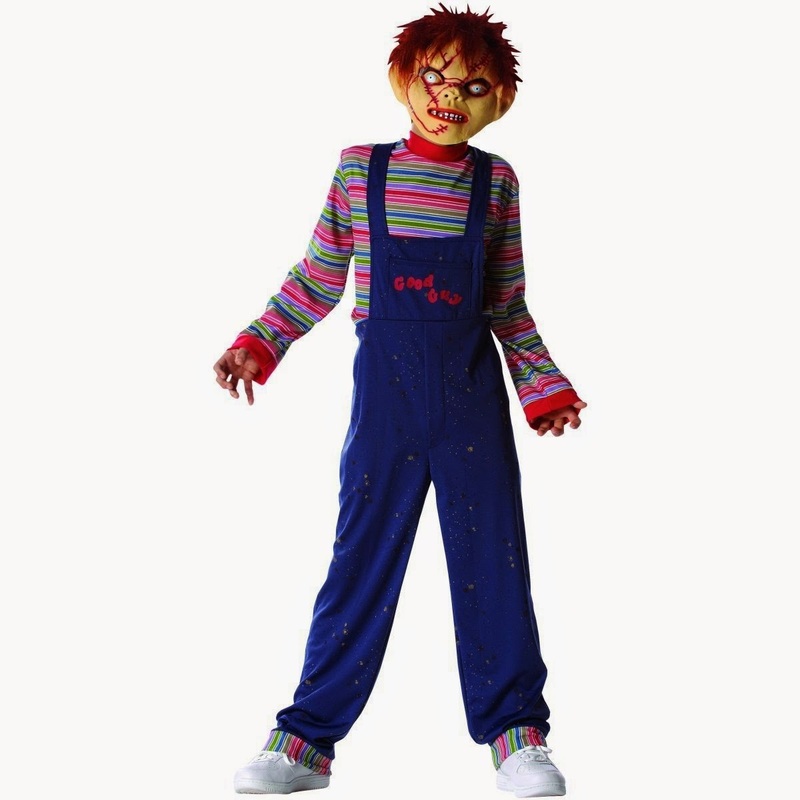 This chucky Halloween costume for kids comes with a mask and jumpsuit that has an attached shirt. The costume is licensed and bears a very close resemblance to Chucky the villain. With his multicolored long sleeved shirt and a royal blue jumpsuit, the creepy Chucky Halloween Costume for kids is completed by the badly scared face with bulging eyes. The costume has small parts and is therefore not recommended for kids under 3 years of age. Most reviewers are a little disappointed with the quality of this costume though and the fact that the mask covers the face only and not the back of the head. One thing you can be sure about is that it is a unique costume that will scare the crap out of other kids.